Depression affects 18–30 % of HIV-infected patients in Africa and is associated with greater stigma, lower antiretroviral adherence, and faster disease progression. However, the region’s health system capacity to effectively identify and treat depression is limited. Task-shifting models may help address this large mental health treatment gap. Measurement-Based Care (MBC) is a task-shifting model in which a Depression Care Manager guides a non-psychiatric (e.g., HIV) provider in prescribing and managing antidepressant treatment. We adapted MBC for depressed HIV-infected patients in Cameroon and completed a pilot study to assess feasibility, safety, acceptability, and preliminary efficacy. We enrolled 55 participants; all started amitriptyline 25–50 mg daily at baseline. By 12 weeks, most remained at 50 mg daily (range 25–125 mg). Median (interquartile range) PHQ-9 depressive severity scores declined from 13 (12–16) (baseline) to 2 (0–3) (week 12); 87 % achieved depression remission (PHQ-9 <5) by 12 weeks. 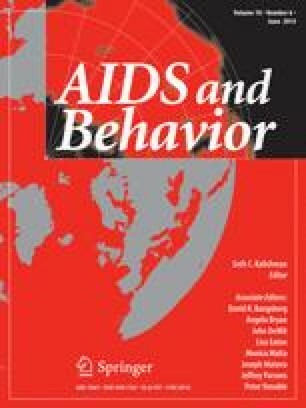 Intervention fidelity was high: HIV providers followed MBC recommendations at 96 % of encounters. Most divergences reflected a failure to increase dose when indicated. No serious and few bothersome side effects were reported. Most suicidality (prevalence 62 % at baseline; 8 % at 12 weeks) was either passive or low-risk. Participant satisfaction was high (100 %), and most participants (89 %) indicated willingness to pay for medications if MBC were implemented in routine care. The adapted MBC intervention demonstrated high feasibility, safety, acceptability, and preliminary efficacy in this uncontrolled pilot study. Further research should assess whether MBC could improve adherence and HIV outcomes in this setting. This work was made possible by our study participants and by study personnel Dr. Awasum Charles, Mr. Andrew Goodall, Mr. Fru Johnson, Dr. Charles Arrey Kefie, Mrs. Irene Numfor, Mr. Joseph Nyingcho, and Ms. Seema Parkash. This study was supported by grant R34 MH084673 of the National Institute of Mental Health, National Institutes of Health, Bethesda, MD, USA. BNG receives funding from the NC TRACS Institute, which is supported by grants UL1RR025747, KL2RR025746, and TLRR025745 from the NIH National Center for Research Resources and the National Center for Advancing Translational Sciences, National Institutes of Health. This publication was made possible with help from the Duke University Center for AIDS Research (CFAR) and the University of North Carolina at Chapel Hill CFAR, a NIH funded programs (P30 AI064518; P30 AI50410). BWP is an investigator with the Implementation Research Institute (IRI), at the George Warren Brown School of Social Work, Washington University in St. Louis; through an award from the National Institute of Mental Health (R25 MH080916-01A2) and the Department of Veterans Affairs, Health Services Research & Development Service, Quality Enhancement Research Initiative (QUERI). The content is solely the responsibility of the authors and does not necessarily represent the official views of the NIMH or the NIH. The funders had no role in study design, data collection and analysis, preparation of the manuscript, or decision to publish. The authors state that no relevant conflicts of interest exist. DHHS Panel on Antiretroviral Guidelines for Adults and Adolescents. Guidelines for the use of antiretroviral agents in HIV-1-infected adults and adolescents: March 27, 2012. Washington, DC: Department of Health and Human Services; 2012. http://aidsinfo.nih.gov/contentfiles/AdultandAdolescentGL003093.pdf. Accessed 18 Feb 2014.